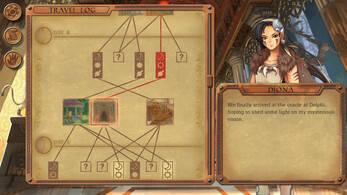 Hellenica - puzzle tactics in a steam-powered ancient Greece! Hellenica is now available! We're doing a launch week sale of 25% off the normal price. We've taken inspiration from classics like Vandal Hearts and Final Fantasy: Tactics, so if you're a fan of those oldies, you may enjoy Hellenica. On top of the tactics standards, we've added a focus on pushing and tossing: push a harpy onto a giant gear, blast a character off a row of pirates, or toss a statue onto an bandit, for just a few examples.